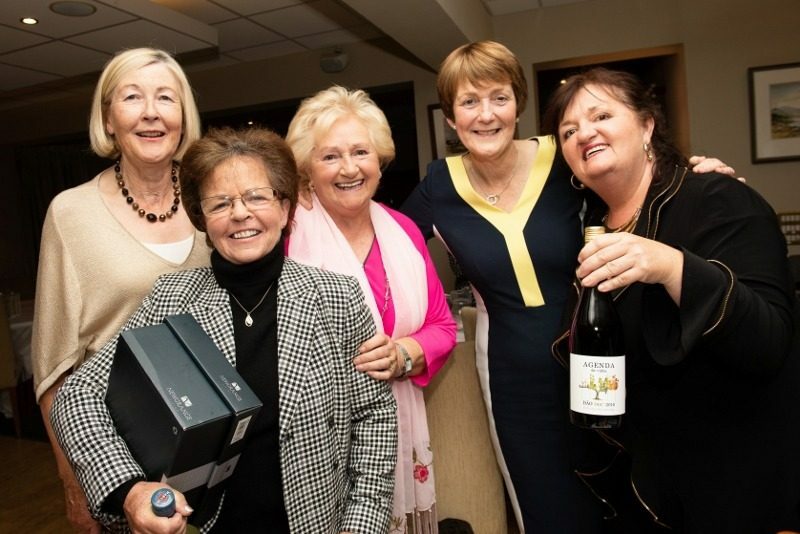 Delgany Golf Club, Co. Wicklow and Balmoral Golf Club, Belfast share a very special and unique relationship. These two clubs are the only golf clubs in the world to have had four Ryder Cup players. 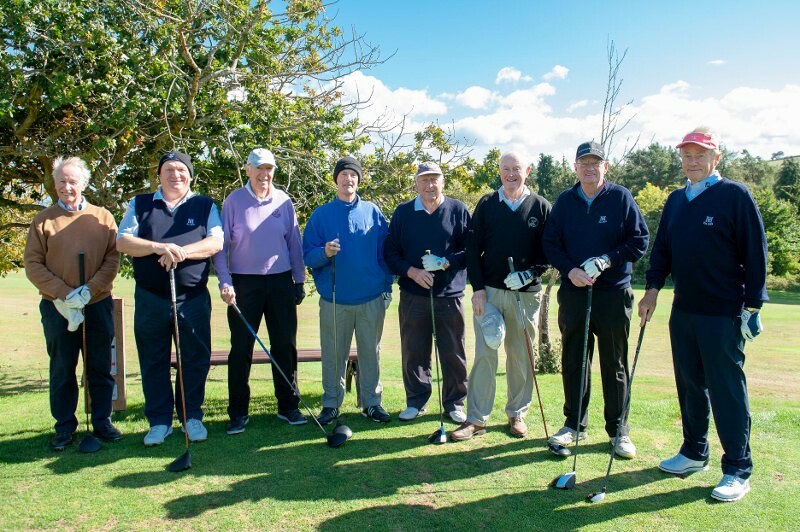 Balmoral Ryder Cup players were Fred Daly, Eddie Polland, Norman Drew and David Feherty and Delgany Ryder Cup players were Harry Bradshaw, Jimmy Martin, John O’Leary, and Eamonn Darcy. To celebrate this unique association both clubs came together the week before the 2018 Ryder Cup to play for the first Ryder Cup 8 Celebration Trophy. 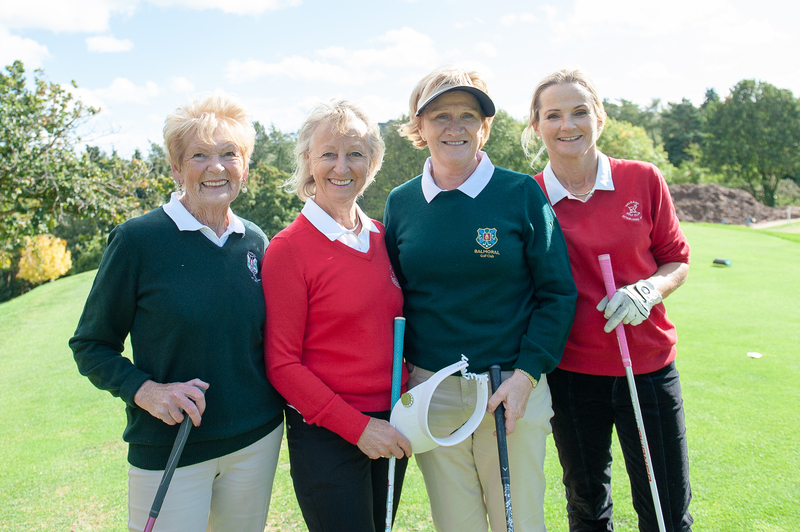 The inaugural event was hosted by Delgany and won by the Wicklow club. 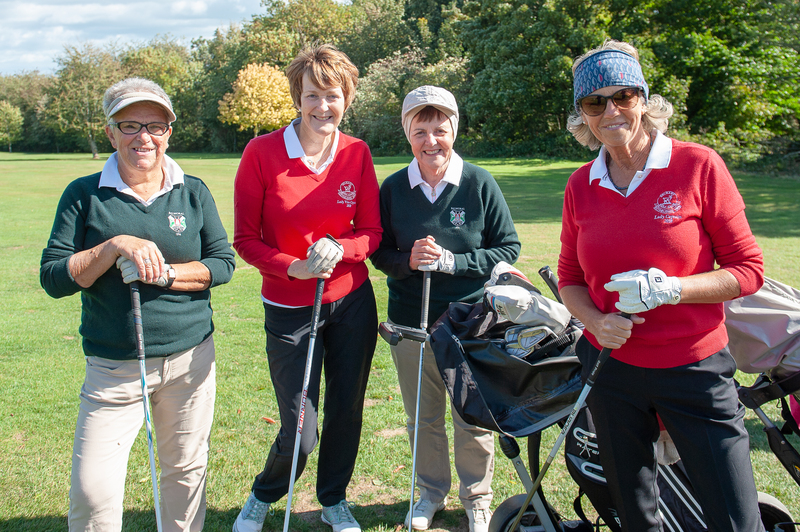 Members and guests enjoyed a wonderful day of golf on the magnificent Delgany course. 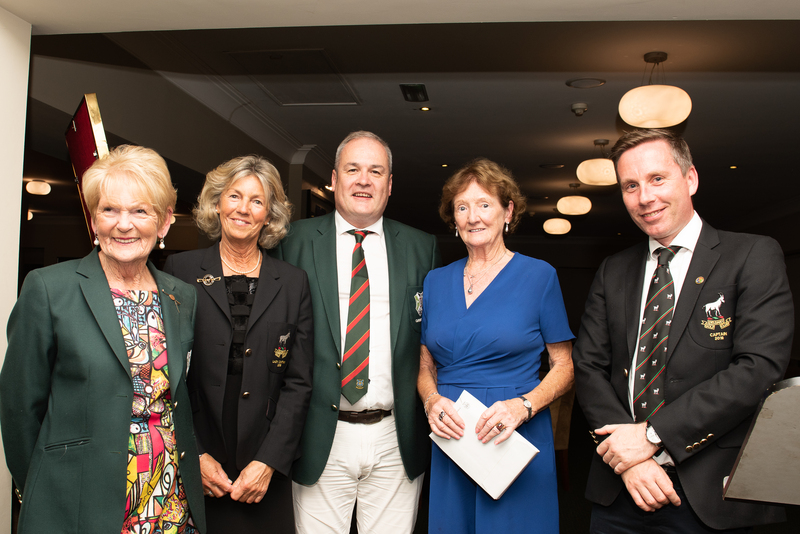 The evenings entertainment began with messages by video link from David Feherty and Eamonn Darcy who congratulated both clubs on the first bi -annual tournament. Balmoral Captain, Eamon Mullaney [L/R3rd] congratulated and thanked Captain Jason Bradshaw,[L/R5th] Lady Captain, Mags. 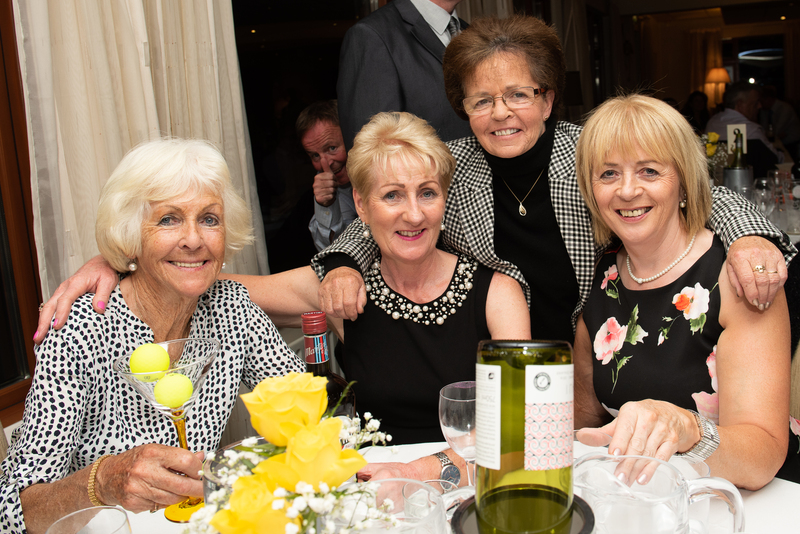 Mc Darby and Delgany members for a wonderful day of celebration he also added how much Balmoral were looking forward to hosting the event in two years time.